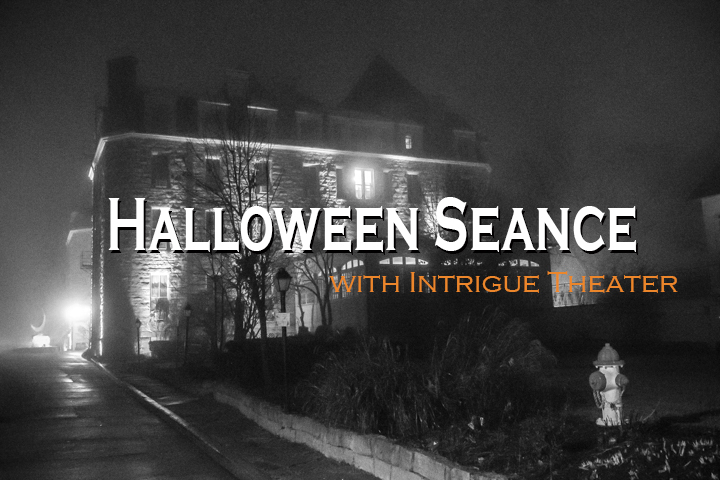 On the heels of last years Amazing and hair-raising Séance – Intrigue theater’s Sean-Paul and Juliana Fay return to the Crystal Ballroom – to present an evening of Mysteries that embody the Legends and History of Eureka Springs Crown Jewel – the Crescent Hotel. The Crescent Hotel’s legacy is built on many different personalities and none were more notorious than that of Dr. Norman Baker. But long before he was a “doctor” he was starstruck with the highest grossing performer on the Vaudeville circuit Ms Anna Eva Fay – the indescribable phenomenon. She was born of the spiritualist movement and could see and tell things from the other side. 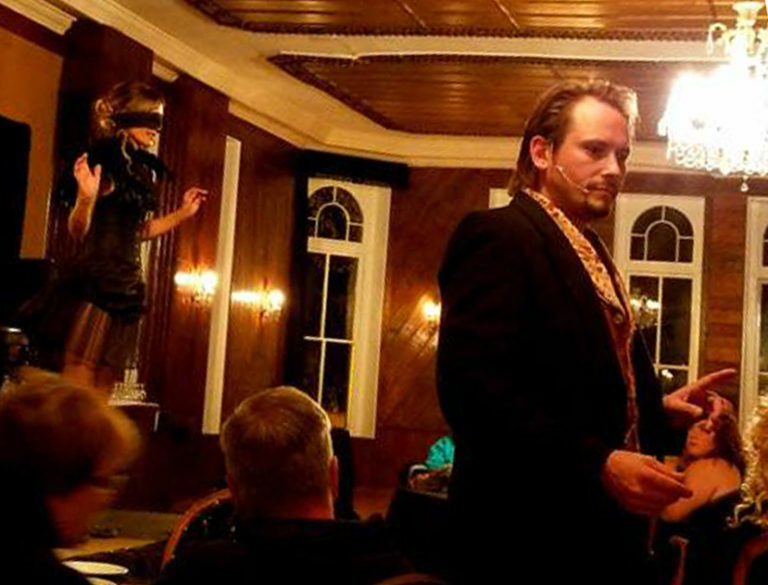 Juliana Fay’s Ghost Talker performance is a tribute to Anna Eva Fay and on Halloween Night she will start off the evening with her nationally recognized talents. Norman Baker was so inspired by Anna Eva Fay that he became a vaudeville performer himself as a “MESMERIST” (HYPNOTIST). Sean-Paul will bring audience members on stage and put them under trance to perform an full-on Hypnosis segment as a tribute to Norman Baker. The finale of this segment will be a Past life Regression experiment with someone from the audience. Show Begins at 9 p.m First Segment will be 45 minutes to an hour. Evening should be done by 11 pm.